Directions: From Denver take I-25 South to 225 North. Exit onto S. Parker Road and head south past E. Arapaho Road. Turn right (west) on E. Broncos Parkway, right (north) on Jamison Drive and right into the park. The Cherry Creek Valley Ecological Park is a natural area bordering along Cherry Creek. The park offers nature education through programs and a self-guiding nature trail. The trail is made up of paved routes, boardwalks protecting sensitive habitat, and natural surface trails. 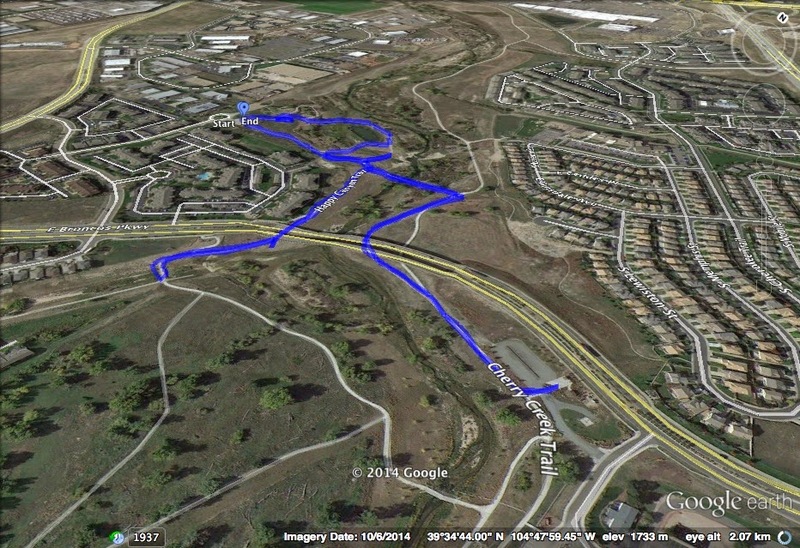 The trails meet up with the Happy Canyon Trail and the Cherry Creek Trail allowing you to extend your hike beyond the 25 acre park.